The first Nordic-China cooperation conference focusing on planning excellence and smart system solutions in the areas of urban environment and the health care sector. 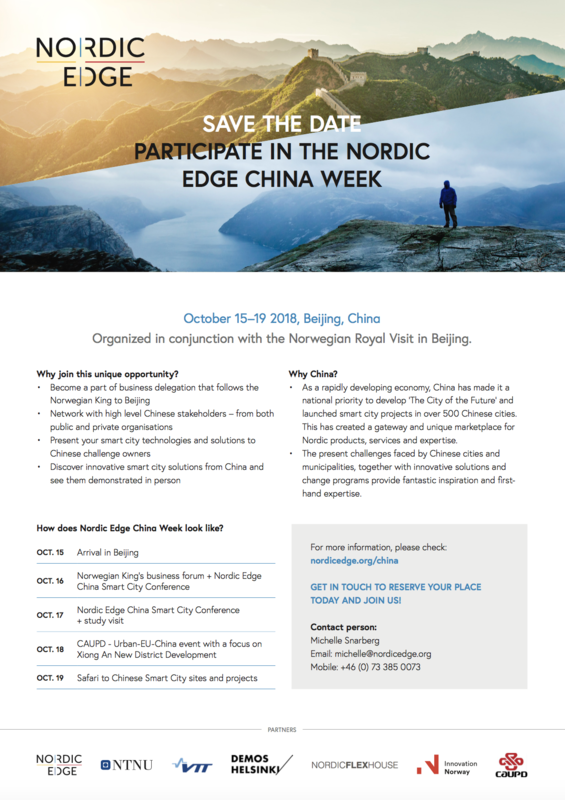 Key Chinese provinces, cities and companies are invited to present their needs and potentials for cooperation with Nordic companies and organizations. Invitation to participate in Nordic Industripark project based on Construction 4.0. The event takes place 22-24 nov. 2018. Read and download full invitation here. Here you can read and download full conference program. The conference expect to takes place 12-14 march 2019. Here you can see a ppt presentation of the Zhejiang area and the Healthtech Match Making Conference. The 2018 Haining International Innovation and Entrepreneurship Conference will be held by China Association for Science and Technology, as an important activity of the China Mass Entrepreneurship and Innovation Week. There will be a round-table conference and 5 roadshows about advanced material and intelligent manufacturing. We’d like to invite entrepreneurs, scholars and investors in the industries to attend the activity. It will be held in Haining, Zhejiang, China on 27 Sept. 2018. 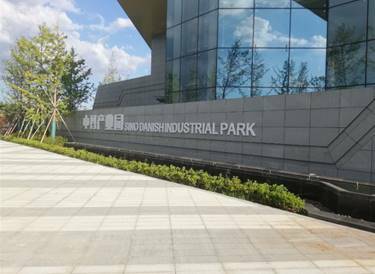 Greatop Science & Technology Development Co. Ltd and Nordicflexhouse have made collaboration partnership, helping Nordic Technology companies to China market. b. Greatop introduce China projects to Nordicflexhouse and Nordic technology companies. 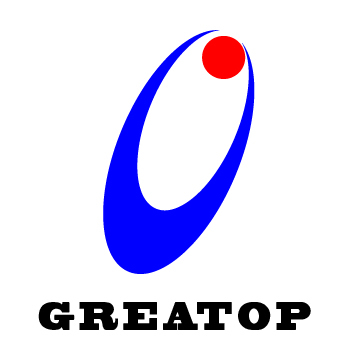 c. Based on project results, a joint venture business model can be discussed between the Nordic Technology company and Greatop. a) Air purification in residential market, Industry, Schools, Eldery care and Public hospitals. b) Water treatment in municipality using membrane technology (MBBR). c) Water treatment for industries (like the plating industry) with filtration of metal from the waste + recover the metal. 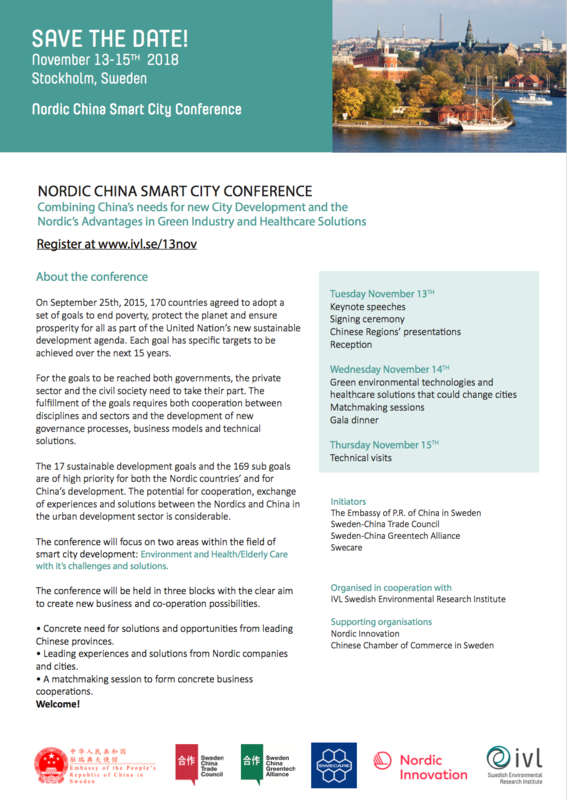 On behalf of Nordic Innovation and CAUPD we hereby invite you to a Sino Nordic conference October 2018. See enclosed tentative program. Please do not hesitate to contact Anders Thomsen, ant@nordicflexhouse.dk if you have any questions in regards to the conference. As part of Nordic Innovation we will like to invite you to a Sino Nordic conference in Stockholm in November 2018. See enclosed tentative program. Please do not hesitate to contact either Jonas Törnblom, jonas.tornblom@envito.se or Anders Thomsen, ant@nordicflexhouse.dk if you have any questions in regards to the conference. Nordicflexhouse will now establish a Wfoe company in New Delhi. 1. Segment market study and target area. In this market study, we will make the conclusion which market segment to prioritize for market entry, market strategy, market barriere, product certificate and testing, and related regulations will also be part of the market study. 2. Prepare Nordicflexhouse company strategy for Indian market and market development strategy roadmap. Nordicflexhouse is expecting to have a business license for Indian market as an Indian Nordicflexhouse (New Delhi) Building Technology Co. Ltd.
3. Making an establishment report which emphasis on Nordicflexhouse India establishment on both short term and long term perspective. 4. Making implementation strategy for establishing an office in India. 1. 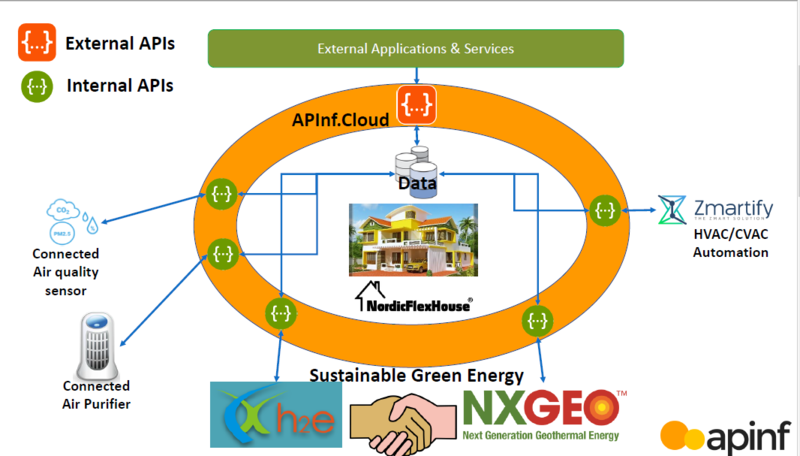 Build a pilot /PROJECT house using NordicFlexHouse know how and technology. 2. Connect the house to APInf.Cloud (APInf Smart Community platform based on FIWARE) and open the data using APIs. 3. Identify the TECHNOLOGY PARTNERS/ SENSORS/ partners for HVAC/CVAC control system, Air Purifiers & Air quality monitors and include them in the pilot and also integrate them to APInf. 4. Create self-sustained and green energy for house using h2e Power Fuel Cells or HYBRID OR NxGeo or combination of both NxGeo and h2e Power Fuel Cells AS PER THE INDIAN GOVERNMENT REGULATIONS. Together with Apin Oy in Tampere we will establish the first pilot project in New Delhi as a prefab house of about 300m2. We will establish a smart home and smart community platform as shown in the figure below. Nordic Edge Smart City Innovation Cluster and Nordicflexhouse enter strategic partnership. a)Sustainable and green smart city solutions such as (but not exclusive to): water and waste treatment, air monitoring and purification, green city design and construction, green marine & agricultural solutions. b)Citizen engagement and involvement solutions such as (but not exclusive to): digital information distribution, personalized digital applications for smarter (city) communications. c)Smart city public services such as (but not exclusive to): smart government, healthcare, educational, vocational and/or entrepreneurial services. Welcome to Joanna as member of the EcoIndustrial Ecology Research Unit. Joanna is a second-year master student of Public Management in Sino-Danish Center at University of Chinese Academy of Sciences. Joanna will stay in Copenhagen for three months for her internship at NordicFlexHouse, and join the BioPod project funded by the Danish business authority, aiming at develop and test an aquaponics and Vermiponics prototype solutions for the Chinese market. During the Biopod project Joanna will support data collection for the environmental and economic feasibility assessment of the biopod prototype developed in DK and performed at AU.